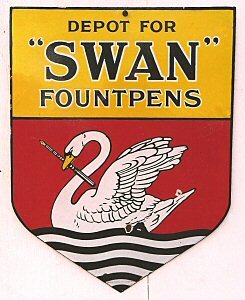 NOTE: We recommend that this pen is not used in any other way than as a dip pen. 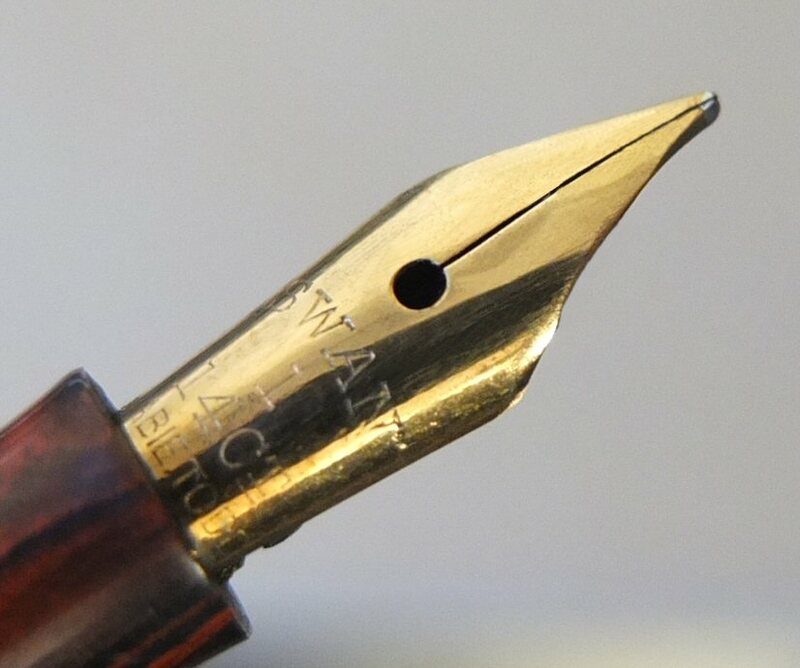 with flexible FINE nib, & single later style under-feed. An early English BLACKBIRD eyedropper - "BLACKBIRD FOUNTPEN" with the initials BRD (presumably for BROAD) at the foot of the barrel. Blackbird is also just visible around the top of the cap. A rare, handsome and early Mabie, Todd & Co.Ltd., JACKDAW self-filling pen, in absolutely pristine condition (these pens are often discoloured). 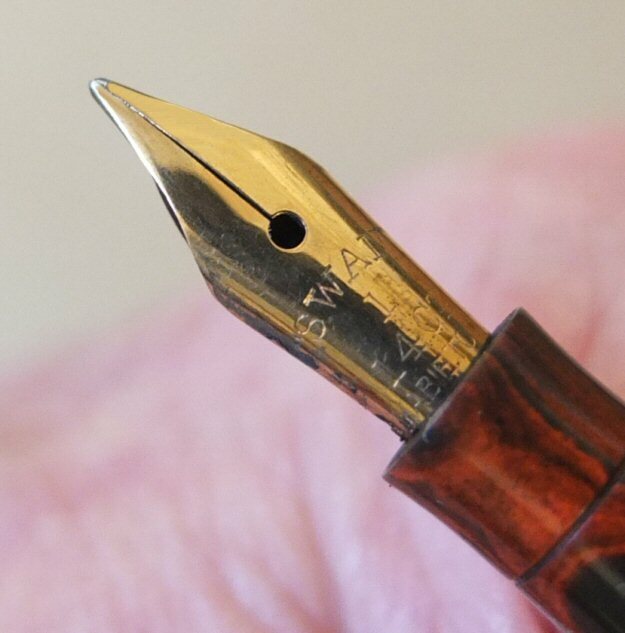 A handsome BLACKBIRD SELF-FILLING pen, with two gold filled bands around the barrel. VERY dark Blue - not easy to photograph !